We offer a wide range of professional laser vision correction procedures in Honolulu, Hawaii. We hold a strong dedication to providing you with the best possible service for laser vision correction. In addition, we have an outstanding reputation and years of experience offering premium laser vision correction in Hawaii. 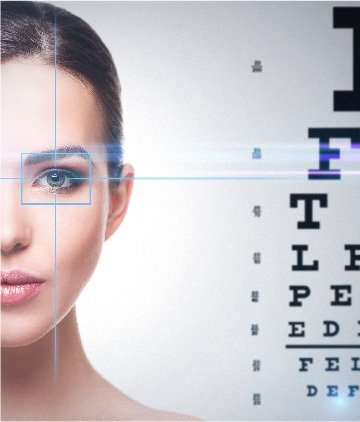 We strive to build caring relationships with all of our laser vision correction patients and we continually strive for excellence in the field of laser vision correction. Laser vision correction is a short outpatient vision correction procedure performed by certified ophthalmologists in which tissue is removed from the surface of the eye using an excimer laser. Laser vision correction is designed to reduce or eliminate a person’s dependency on glasses or contact lenses by reshaping the outer surface of the cornea using the energy pulses of light emitted by the excimer laser. There are currently two types of laser vision correction procedures: LASIK and the newest LASEK-PRK (Laser Sub-Epithelial Keratomileusis). Feel free to call for a consultation and learn about how our programs can best help improve your vision.